NAUGATUCK — The Naugatuck cross country teams are making strides with returning runners improving and a few up-and-comers making an impact early on. 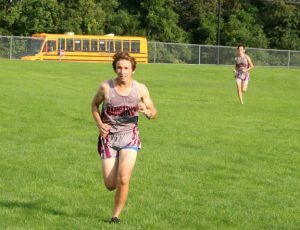 The boys improved to 5-1 on the season in a quad meet Sept. 19 at Seymour. The Greyhounds picked up wins over Waterbury Career and the Wildcats, and fell to Woodland. The girls ran their record to 3-3 at the meet, earning a win over Waterbury Career, but coming up short to Seymour and Woodland. 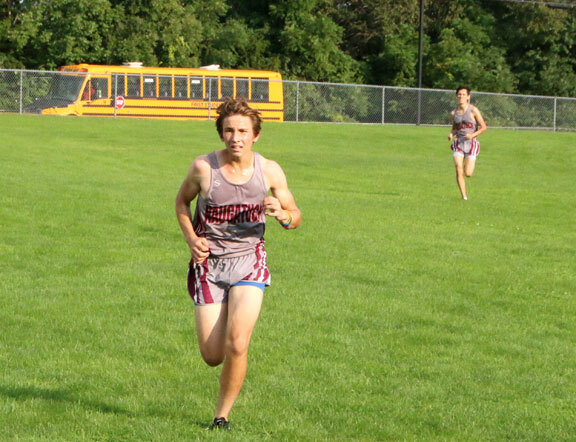 Charley Marenghi led the boys by finishing seventh in 18:20. David Garces finished in eighth place in 18:25. Freshman Tim Bristol was 10th (18:39), and senior Austin Herb finished 11th (18:49). “Charley was almost two minutes faster than last year’s time,” Hanley said. “Brendon Soubannarath ran sick and couldn’t finish the race but he has been dropping time as well. Bryce Cegielski (13th, 19:28), Chris Cook (16th, 19:36) and Matt Nofri (17th, 19:37) all broke the 20-minute mark. The girls are developing three solid competitors who can challenge for top-ten times. Junior Lauren Rupsis just missed the top ten at Seymour, finishing 11th in 23:22. 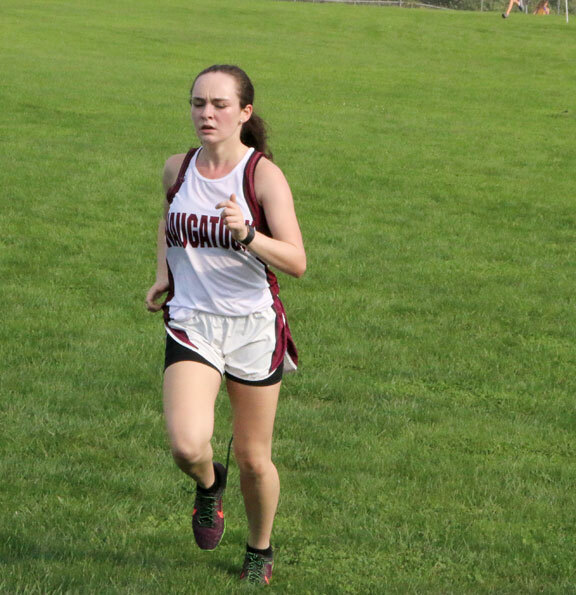 Senior Evelyn Diaz put up a strong performance, finishing 16th in 24:19, and freshman Julia Kropo, who posted a 24:55 in the season-opener, didn’t finish last week at Seymour. The Greyhounds have several runners trending in the right direction. Naugatuck’s meet against Oxford, Sacred Heart and Wilby on Tuesday was postponed to Thursday due to rain. The Greyhounds will head to Bristol on Oct. 2 to race Torrington and St. Paul.